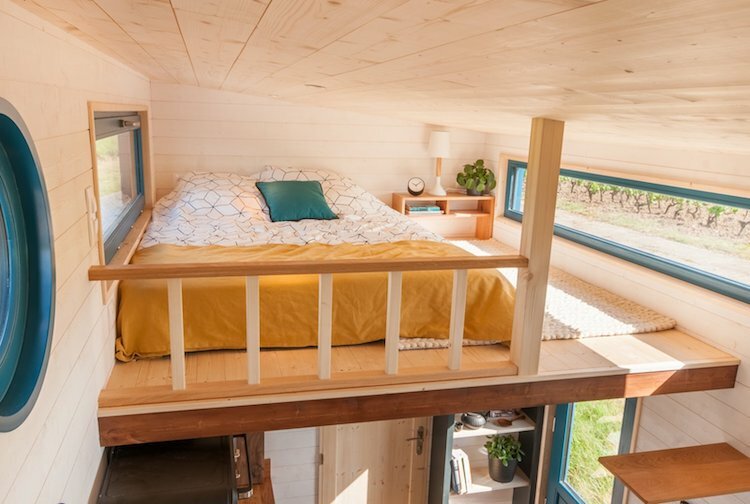 It’s been years since the tiny house craze was first introduced, and it’s showing no signs of slowing down yet. 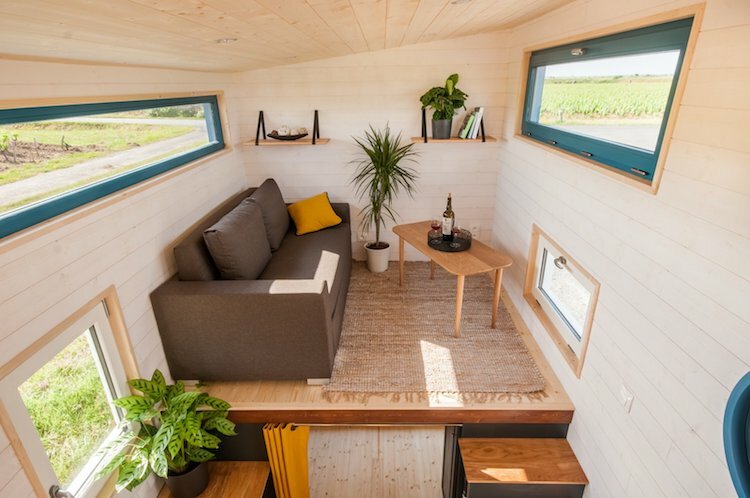 The minimalist, eco-friendly lifestyle is appealing to people around the world, and the design of these dwellings continues to impress us with their style and ingenuity. 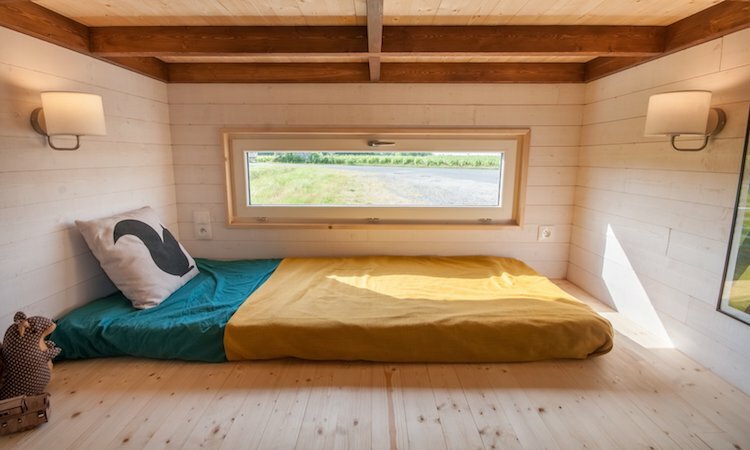 Baluchon—a studio based out of Brittany, France—builds these types of awe-inspiring tiny homes, and their latest creation features two bedrooms within a mere 140 square feet. 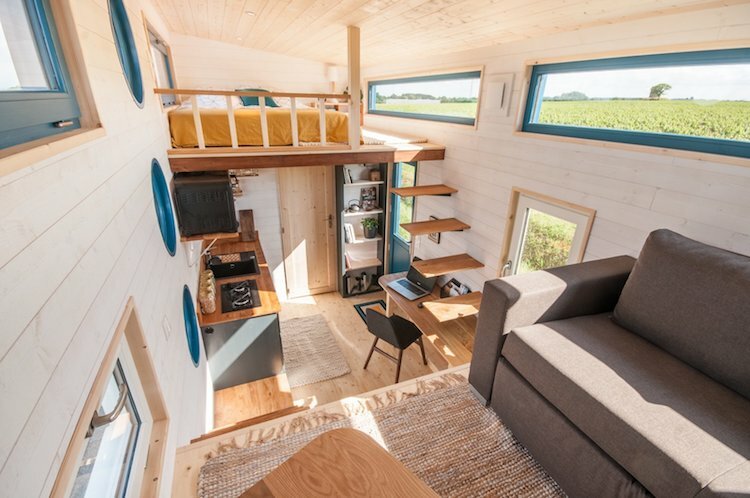 Called Tiny House Valhalla, the abode was designed for a family of three. Despite the constraints of having a third person, Baluchon packed the home with the conveniences you’d find in a conventional dwelling. To achieve this, the designers created two lofted spaces on either end of the structure. 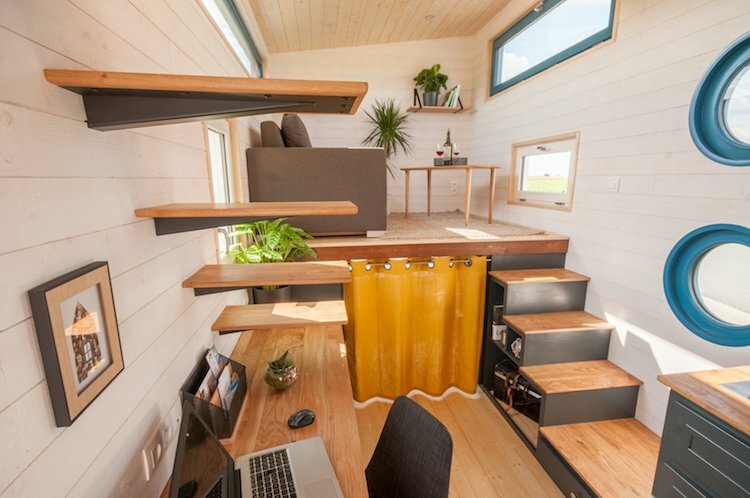 One functions as an elevated living room while the other is the parents’ bedroom. To get to these sleeping quarters, you ascend a set of floating steps, with one riser doubling as a six-foot-long table. Across from this dual-duty workspace is the kitchen that includes a two-burner stove, fridge, and sink. 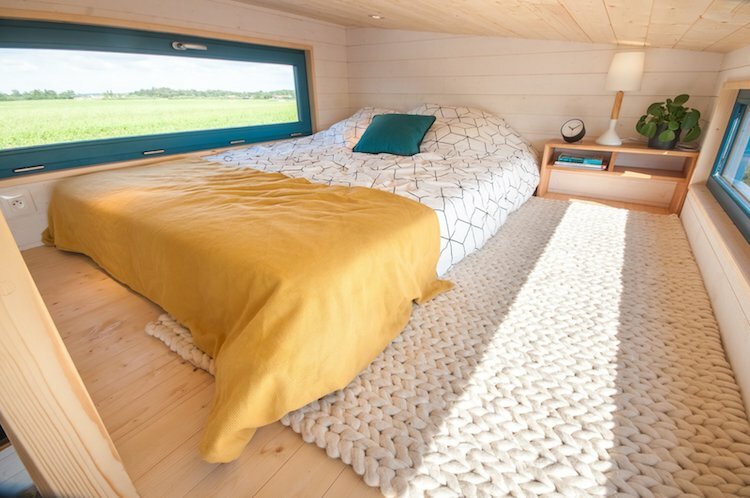 From there, you get a peek into the second sleeping nook cleverly concealed under the living room. When not in use, it can double as a storage area—an absolute must when space is at a premium. This cleverly designed home brilliantly uses windows, which add an easy way to make a place feel larger. By flooding the space with natural light, it feels open and airy. 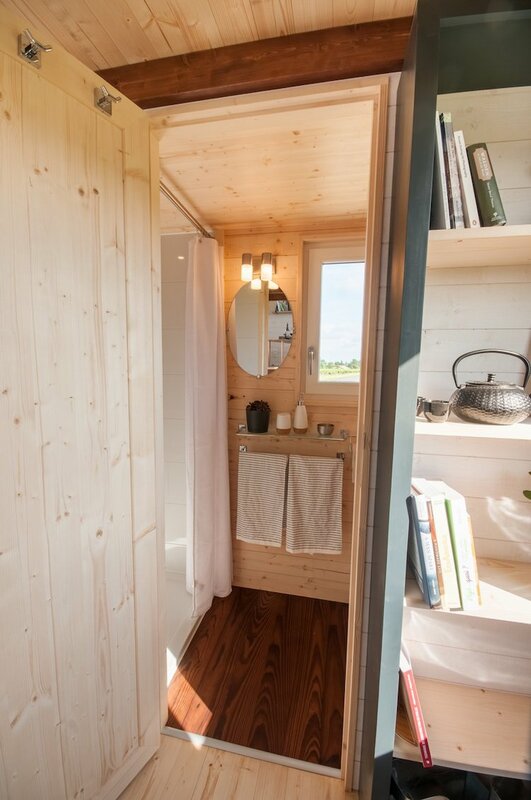 And thanks to Baluchon, Tiny House Valhalla is airy as well as bright. The exterior of the structure features light wood siding with sections of white painted for contrast and accented with teal. 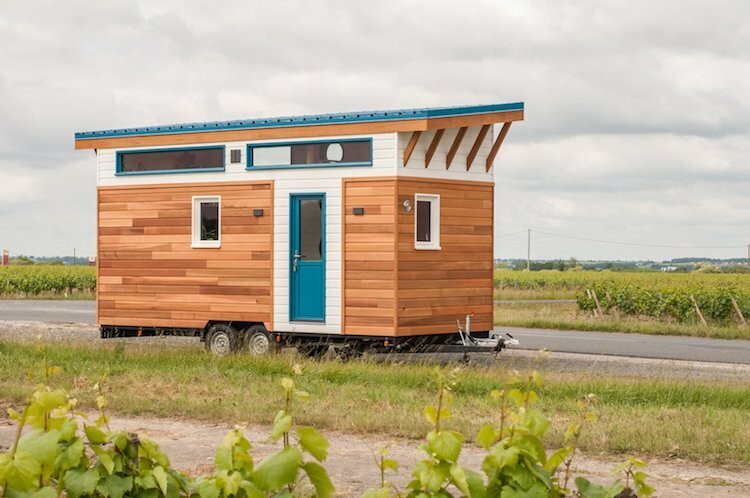 Equipped with wheels and a trailer hitch, this house will be hard to miss when it’s on the move. 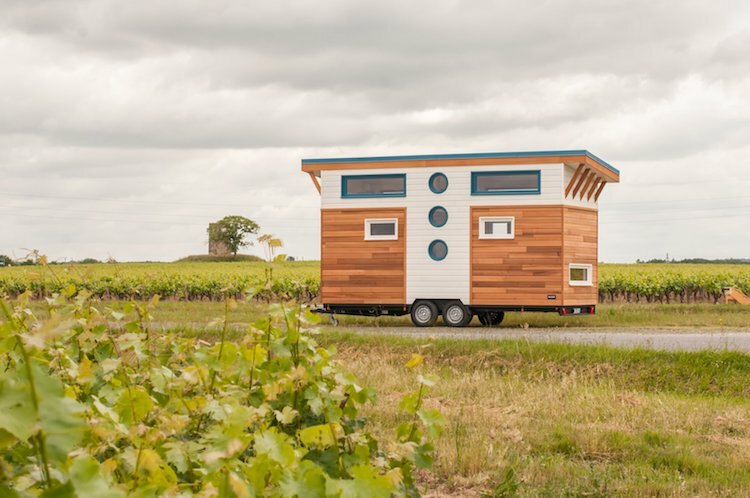 French designers Baluchon create tiny homes on wheels. 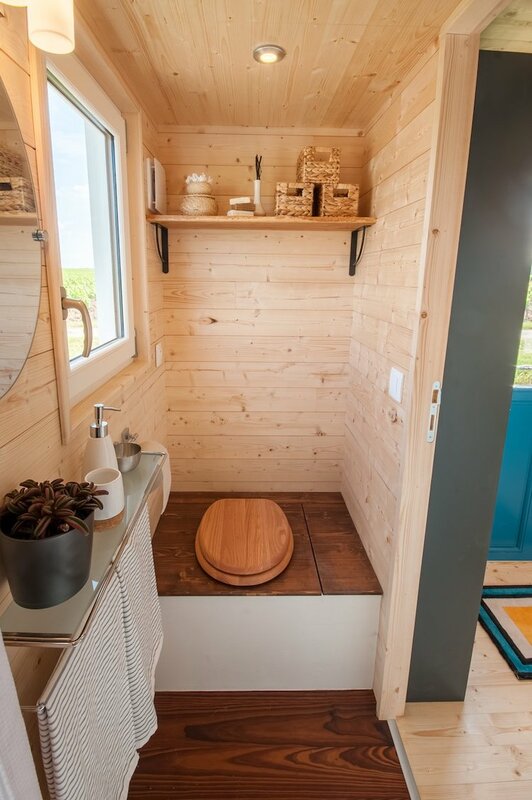 One of their creations is called Tiny House Valhalla. 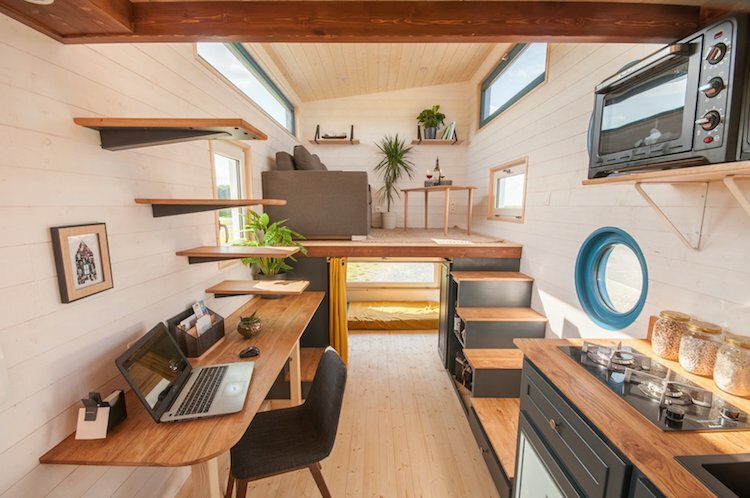 They managed to pack two bedrooms into 140 square feet—quite a feat for such limited space. …all with plenty of storage options. 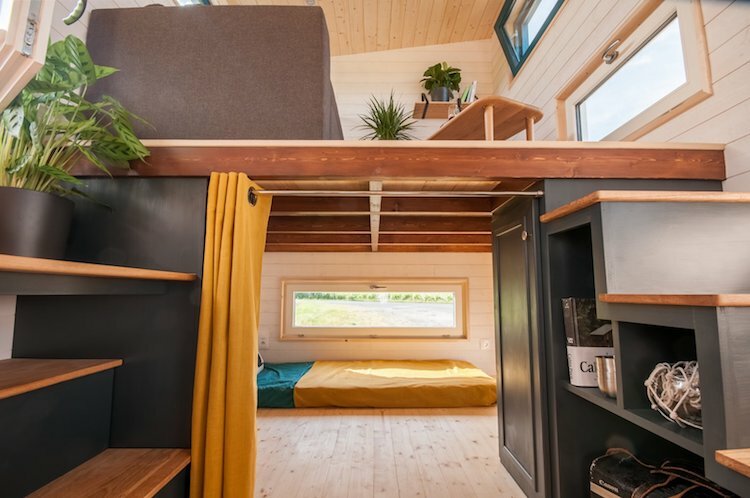 The post Colorful Tiny Home Packs Two Bedrooms Into Just 140 Square Feet of Space appeared first on My Modern Met.